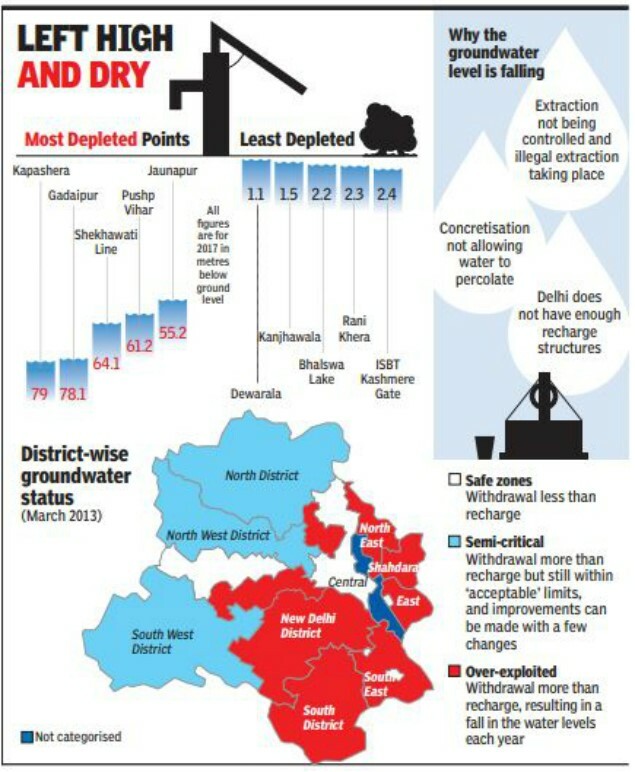 Groundwater depletion on a high rate in National Capital Region, Delhi India! Large numbers of households in cities around the developing countries don't have access to at least one of the foremost basic of human needs – a secure and reliable supply of drinkable water. Today we are discussing India as a lens through that to look at the issues of access to drinking and clean water in urban areas like Delhi/NCR furthermore as rural areas of the country. The performance of India’s urban water sector as compared to different Asian metropolitan regions don't seem to be on the high scale and therefore the reform efforts that are underway in many Indian cities. A review of these ongoing reforms illustrates a number of the economics challenges concerned in reforming the water sector. While every country faces distinctive challenges and opportunities, the scope and range of the Indian experience offer insights and caveats for several low-income nations. In over fifty years of political independence and economic development, India has not been able to ensure the most basic of human needs safe drinking water for all of its citizens. And it’s a fact! Rural areas contain the biggest range of people without access to safe water however, in common with several developing countries, the fastest growing unserved populations live in urban and Peri-urban areas. The water system in most Indian cities is just offered for a few hours per day, the pressure is irregular, and therefore the water is of questionable quality. No major Indian town or city has a 24-hour supply of water, with four to five hours of provide per day being the norm. This compares to the Asian Pacific average of 19 hours per day supply. Groundwater depletion rate is incredibly high within the NCR (National Capital Region) which can be seen from the below image. We need to take the important steps in our daily living practice. To reduce the water pollution and improve the ground water quality. This can only be done when we educate ourselves as well as to others by adapting the new practices and to do changes in our daily living routine. Beltecno being a Stainless Steel tank manufacturing company originated from Japan and putting its continues efforts since 1947 to improve people’s day to day life and always encourage hygiene practices globally.